Click 'Dashboard' from the left navigation menu. 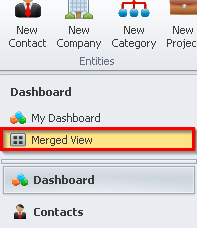 Click 'Merged View' from the extended navigation menu above the left menu. The Email tab in the bottom left panel will be selected by default. Here it shows all your emails in your email list. If it is not selected by default, click the Email tab in the bottom left panel. Toggle to the list of unknown emails by clicking the 'Known' button. 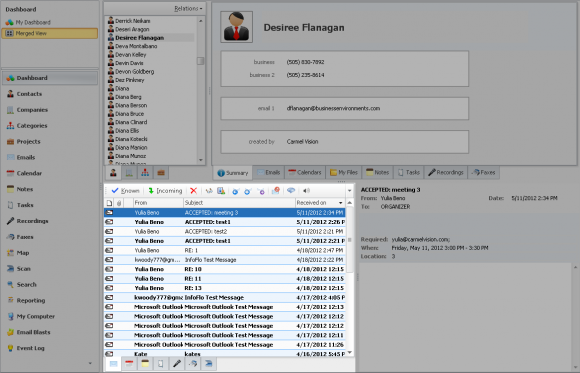 Select an Unknown Email and drag-and-drop it on to a contact that already has an email address. 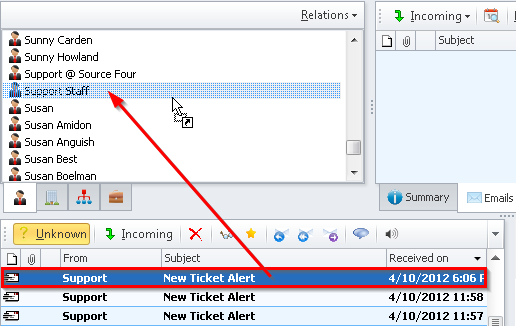 Confirm the link by clicking 'Yes' in the Confirm Relation window. Please wait while the emails are being linked to the contact. 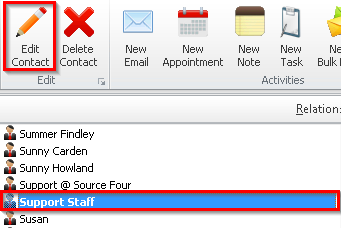 To confirm that the email address has been added to the contact, select the Contact and click 'Edit Contact' from the main Ribbon Toolbar. Here you can see that the email address has been linked as a secondary email to the contact.